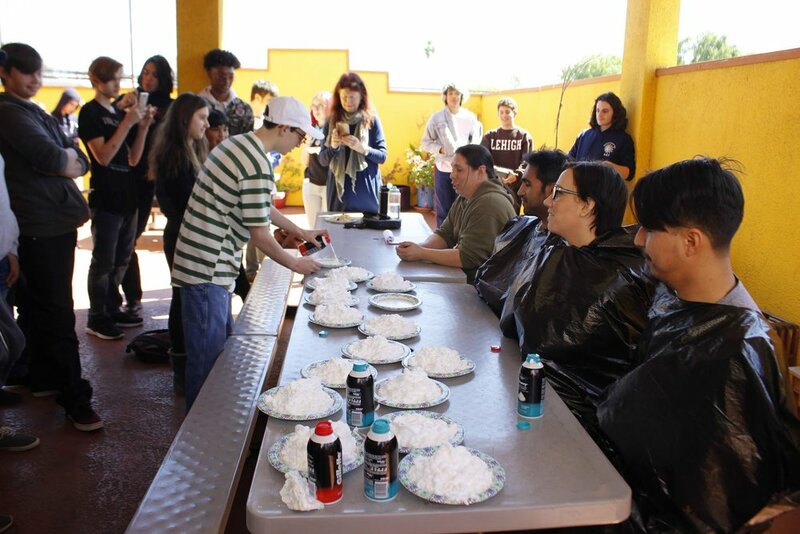 In addition to our annual PI contest, this year teachers volunteered for our first “Pie a Teacher” fundraiser. 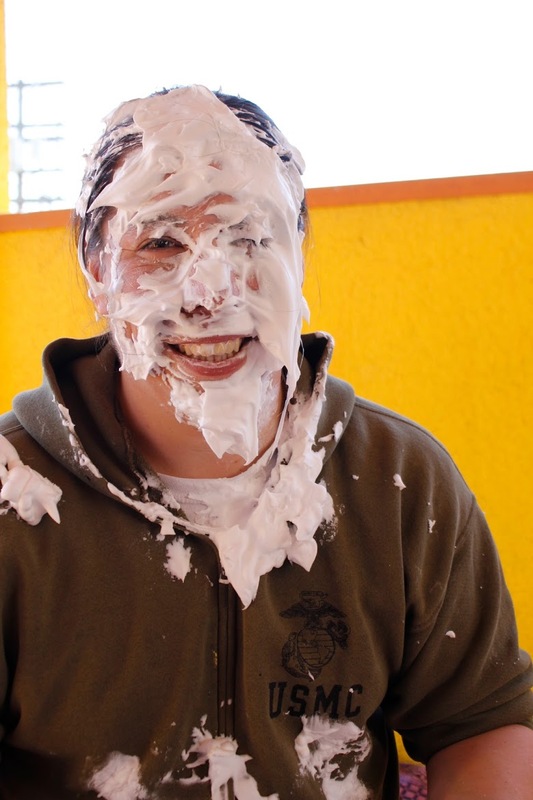 To help raise money for upcoming school events, students were able to purchase tickets for a chance to “Pie” a teacher of their choice. Our brave STAR Prep volunteers included Desiree Dufresne, Vlad Duran, Louis Infante, and Thomas Valencia. 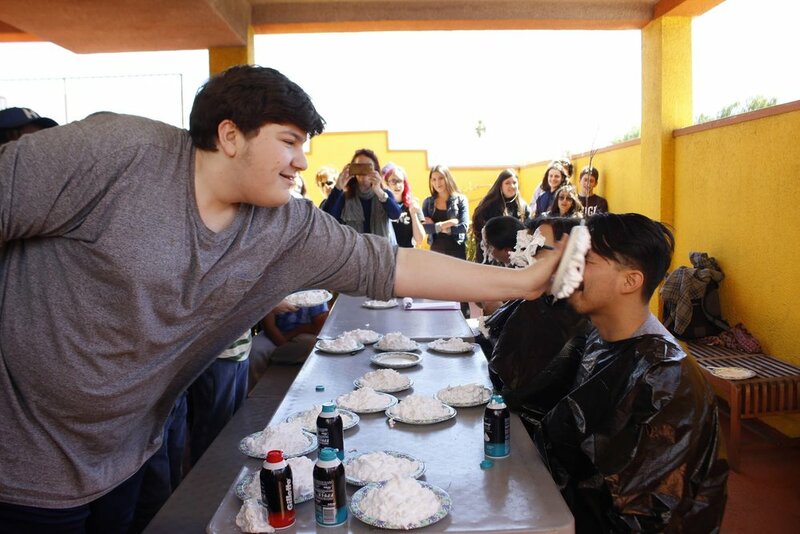 It was a great time as students cheered with every pie thrown. 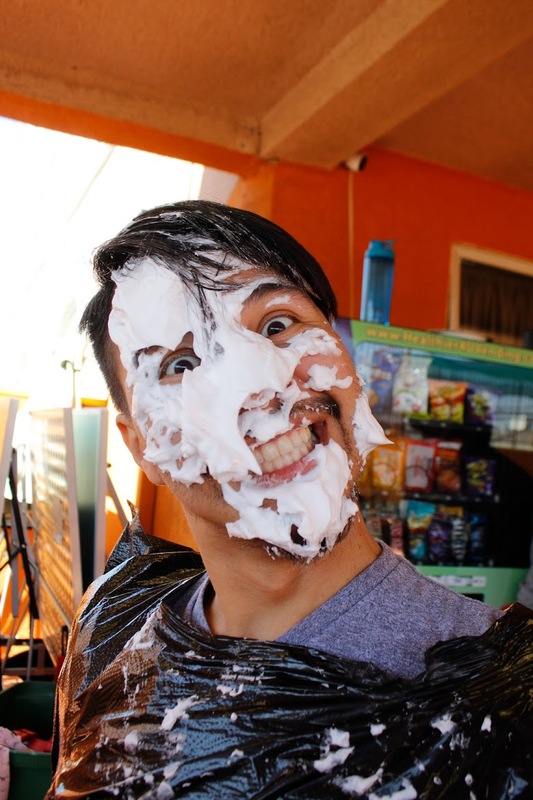 It was a messy but fun event for everyone. Hopefully, this too will become an annual tradition.